Emotions got heated as players fought to gain the victory in the 2018 Lamar Hunt U.S. Open Cup quarterfinal match at the Banc of California Stadium in Los Angeles, California on July 18 which ended with LAFC winning 3-2. LAFC reaches the semifinal in their debut season. An own goal from Portland’s David Guzman, Portland number 20, put LAFC in the lead with the game’s first goal. The first half had multiple fouls, with the majority being called on LAFC, the home team. Several foul calls in both halves got the crowd booing the referee from missed calls, one being a foul on LAFC inside the box which would have resulted in a penalty, and several calls against LAFC that looked to be unnecessary calls in a physical game. Lee Nguyen, LAFC number 24, had a strong first half being seen as an aggressor battling every play and defending with strong sliding tackles. A hard foul on Nguyen garnered a yellow card for Portland. This seemed like a continuation of the physical gameplay from the two team’s previous meeting. Adama Diomande, LAFC number 99, played a slow game, but was fierce getting the ball, which cause Portland’s players’ tempers to heat up. Portland’s 18 most notably showed his frustration, as they were loosing 3-2 late in the game. Two goals were called off, one by Diomande and one by Diego Rossi, LAFC number 9. 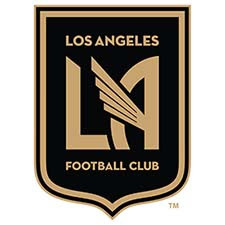 Marco Ureña, LAFC number 21, scores a goal in the 51-minute of the match which gave LAFC back in the lead by two points, but was cut down to one when Vytas Andriuskevicius, Portland number 5, scored at the 52-minute mark. Carlos Vela, LAFC number 10, ended up the player of the match, created many opportunities at goal with great passes. But, Vela scored the second goal at the 38-minute mark in the first half to put LAFC in a comfortable lead, which was cut in half with Portland’s first goal at the 45-minute mark. The hero of the match for LAFC was goalkeeper Tyler Miller, LAFC number 1, with brilliant blocks to Portland shots that seemed destined to find their way to the back of the net. LAFC visits Minnesota for their next match is on July 22 against Minnesota United 7 p.m.
LAFC will face Houston in the U.S, cup semifinal.